In 2011, Etihad Airways began partnering with American. This was really exciting news, since it meant it was possible to redeem American AAdvantages miles for travel on Etihad Airways. Not only do they have great first class and business class products, but they have excellent award availability as well, including in premium cabins. One question I’m often asked is how to search Etihad Airways award space, in particular for those trying to redeem American AAdvantage miles. The best place to search Etihad Airways award space online is directly on their website, using their online award search tool. Unlike in the past, you don’t need an Etihad Guest account in order to search award space. Once you’re on the search page, just enter your origin and destination, dates, and desired class of service. The results page will show you different levels of availability. There will be “GuestSeat” availability and “OpenSeat” availability. Assuming you want to redeem American miles, there must be GuestSeat availability. So for first class you need “Guest First” availability, for business class you need “Guest Business” availability, and for economy class you need “Guest Economy” availability. If you want to search for availability across a wide range of dates, the best you can do is look at the “scrolling” calendar along the top of the page. You’ll see mileage costs displayed. You can easily see whether there’s saver space available based on how many miles are listed for each date. If a date lists 55,243 miles (in this case) as being needed then there’s Guest First availability, while if it lists 451,873+ miles as being needed, that means there’s not Guest First availability (instead there’s just OpenSeat availability). Keep in mind the mileage costs shown are what you’d pay if redeeming Etihad Guest miles. If you’re redeeming American miles, you would pay based on the AAdvantage award chart. What if Etihad’s website shows space but American can’t see it? First of all it’s worth noting that as of the time of this posting (June 4, 2014), American can’t access Etihad Airways award space, as their systems are having trouble communicating. So no matter what you can’t redeem AAdvantage miles for travel on Etihad Airways as of now. Sometimes there’s a discrepancy in availability. There’s no way to predict it, but once in a while American can’t see Etihad award space, and there’s nothing that can be done to fix that. Sometimes agents just aren’t competent. If you see award space on Etihad’s website and American doesn’t see it, this is the most common reason. Some agents just don’t look up award availability correctly, so if you call and an agent tells you there’s no space, just try hanging up and calling back. If you call a few times and they still don’t see the space, then assume it’s not actually available through American. So if an agent can’t see space, it can’t hurt to double check and make sure they’re searching the correct fare buckets. Hopefully that rundown helps, and hopefully American will soon get access to Etihad award space again. Can agents manually request for the Etihad award? @ Joey — I don’t believe so. why was there never a post about the kickstarter after it was over? @ Lantean — Sorry, post is still coming. Has been a bit of a crazy week. 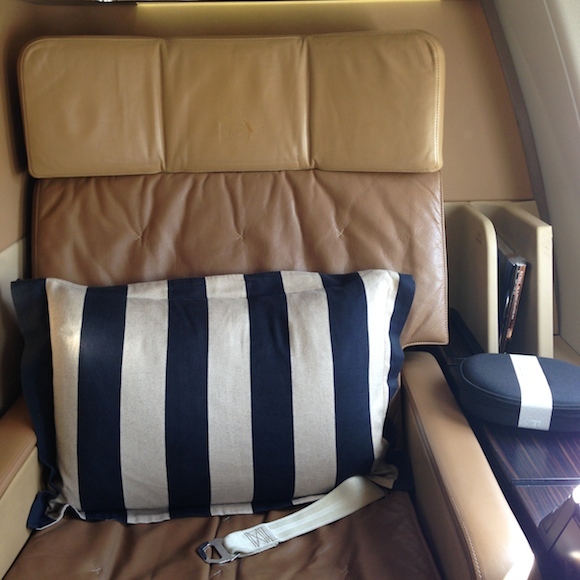 You’re probably the wrong guy to ask, but is Etihad first class worth the extra 45k miles r/t over biz? Also, is it possible to fly Etihad to Europe from US without paying the middle east price? @ DBest — If you want to fly Etihad from the US to Europe via Abu Dhabi you’ll have to book it as two awards. I do think it’s worth 22,500 miles to upgrade to first class each way, though I guess it depends on how many miles you have and what your other travel aspirations are. Is the following one or two awards? IAD-AUD-IST? @ Tony — Istanbul is considered Europe, so that’s two awards. Ben- When I use the Etihad search engine it seems to freeze up after 4 searches. Does that happen to you also? @ John — Can’t say it’s a problem I have. Have you tried using a different browser maybe? @ Ragster — Wish I did, but no clue unfortunately. Which OneWorld option is better to ME. Qatar or Etihad. Does Etihad provide free limo on award tickets? @ Mike — Etihad does provide complimentary chauffeur service on awards. On the whole I’d say Etihad is slightly better, but really depends on the route and aircraft. i hope this opens up some possibilities to fly etihad into lagos–they have daily flights from abu dhabi! Hi Lucky – How far in advance can you book Etihad using AA MIles? Thanks! Is the following valid as one award using AA miles? @ Ngoc — Unfortunately not. American doesn’t let you route from the US to Asia via the Middle East on a single award. @ Sam — Try searching separately from the US to Abu Dhabi, and then from Abu Dhabi to your destination in India. Hey Ben — looking at LAX-AUH on EY using AA miles. Looks like the aircraft for the direct 16 hour flight is a 777-200LR, possibly acquired from Air India? Can’t seem to find photos or a seating chart anywhere. Any ideas what business seats are like on this 77L? @ MikeR — They should be identical to what they have in the rest of their longhaul fleet. Even though the plane is ex-Air India, Etihad completely redid the interiors. Just booked AUH LHR for November. Checked the EY site, saw the space, called AA, done. No muss, no fuss. Can you use this option to upgrade from Economy to Business? I bought the mistake fare and would like to upgrade the ticket. @ Krys — You can’t redeem American miles to upgrade on Etihad, unfortunately. Lucky, favor to ask. Might you know if I can book AA miles on Ethiad to get from Addis Ababba, Ethiopia, to the U.S.? You helped me figure out how I could on Quatar. 37,500 miles for coach 1 way from Addis to U.S. and 75,000 business. Would these same AA mileage amounts work on Ethiad? Or is it 2 awards? Thanks in advance! @ Mike — Unfortunately American doesn’t let you route from the US to Africa via the Middle East except on Qatar Airways. Sorry! Lucky, great! Thanks for the quick reply! Qatar it is. Per fauxblogger in comment abov, the AA-visible inventory = “Guest award inventory minus 1″. Recently that’s my experience as well. Are there exceptions where 2 seats left in the GuestSeat column means 2 seats for AAdvantage redemption? 1. How much in taxes and fees should I expect in addition to AA miles (AUH-SYD in F)? 2. Is it possible to book AUH-SYD-AKL on one award ticket? @ Dan — Not much at all (<$100) and yes, you can continue to Auckland. Thanks, Lucky! I imagine I’d have to try to find space on a partner airline (e.g. Virgin)? If so, would I look it up by segment? Because I can’t find space using just the Etihad award search tool. i want to book LAX-AUH-CDG. these are two award tickets? how many AA miles is that per person do you know? @ hk — Two tickets are required, one from the US to Middle East and one from the Middle East to Europe. That would cost 90K and 40K in F one-way. Hey, lucky! I’m sure you’ve been asked this a lot. I’m a “noob” when it comes to AAdvantage.. and pretty much any mileage program. I can’t recall ever using miles to fly.. and at the same time I’ve travelled around the world, to over 25 countries.. But now I’ve started collecting them and decided to look a bit more into AAdvantage and their amazing Etihad redemptions. I searched for fares from AUH to SYD and could not find one single seat in F (using the AA site). Does Etihad sometimes release award space (guestseats) but they don’t show availability on the AA site? I mean, if I phoned AA I would be able to book them.. but not see them on the AA site? or all award space available to be redeemed with AAdvantage miles are shown on the AA site? I hope the question/s is/are clear. @ Santiago — Welcome to the “hobby.” American doesn’t display Etihad award space on their own website. 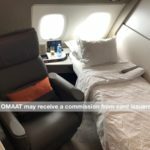 You have to search space on Etihad’s website (using the method explained in this post) and then call American to book. Let me know if you have any other questions! Just found this primer and thank you so much for writing this! Question: How to earn Etihad miles besides flying? 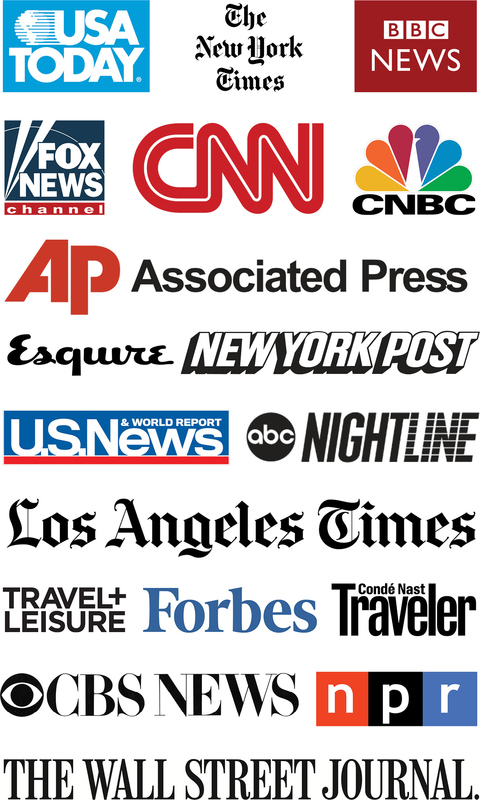 are they partner of credit card transferable points program like UR and TYP? 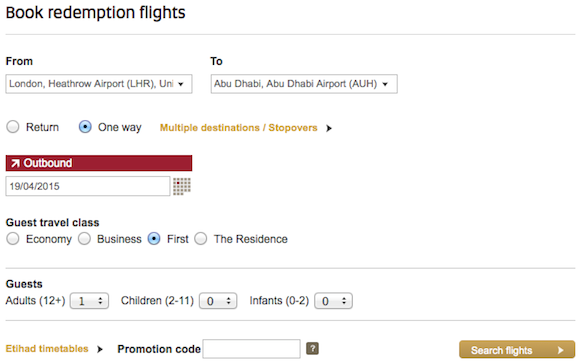 it seems that the redeemable miles required for award seat is better/lesser if using Etihad miles than AA miles. Would this be valid routing: SFO – AUH – SYD on Etihad (trying to get to Australia from SFO). If so, how much would it cost in miles? @ SFOflyer — They are transfer partners with ThankYou points. In most cases American AAdvantage has cheaper redemption rates for Etihad, though. Thanks a lot. Really appreciate it! For SFO-AUH-LHE (Lahore, Pakistan) in [Guest] Business using AA miles, that’d just be 67k one way, 135k round trip, correct? AA won’t let you book to Africa via Middle East? I’m trying to book IAD-AUH-SEZ, Dulles- Seychelles. I see availability on Etihad for F, but currently having issues with American seeing that availability. @ James — You can if you’re flying Qatar Airways, but not if you’re flying Etihad Airways. Is the AAdvantage / Etihad communication issue fixed yet? @ David — Yep, sure is. 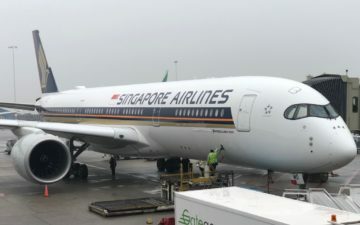 I am booking a RT from AUH to SYD for 120K AA miles( correct me if I am wrong). Are you sure about if FC Apt has Shower? It is showing shower on their Youtube commercial. but I thought only EK got showers. Also, Actually I am going to Melbourne. Can I add one leg from SYD to MEL by QF as one award ticket when I phone AA? or I have to use 4500 Avios. Thanks in advance. @ Al — If you’re not stopping over for more than 24 hours then you can add that flight on Qantas to the same award. There’s one shower which is shared for First Class Apartment passengers, while the passenger in The Residence has a private shower. Thanks for your response. That’s a steal for sure. Just looked up the trip between SYD to MEL worth AUS$500 alone. Is it fixed though on AAdvantage? I’m searching for one way first class availability LHR-AUH on dates where I know there is Guest First availability and only find BA and AB options. I booked a return award with EIthad through Partner airline Asiana. 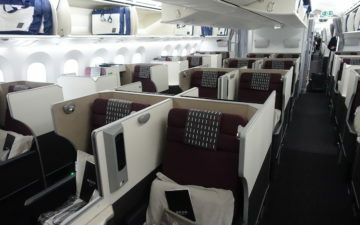 I’m traveling LHR -Syd via Auh return in business class. Asiana have ticketed the flight for me and I have paid the taxes which they charged £240 in total for the flight there and back. To be honest I thought the taxes they have charged are very cheap, I was expecting to pay more! I’m hoping this is the correct amount for the taxes etc. Does anyone have any idea if £240 taxes sounds correct for a business class flight from UK to Austalia and return? I just don’t want any nasty surprises!! @ Stuart — It sounds like there are no fuel surcharges, but rather just the UK APD and taxes. Sounds right to me. Enjoy the trip! I feel a bit more relaxed about the whole thing now! Been saving the miles for six years,and not really done anything with them until now! Pretty new to award bookings etc. So was a bit worried after seeing higher taxes with awards to Austalia with other airlines etc. I’m based in SFO, and trying to find 2 first class seats to get to MLE, anytime from end of December through mid February. I can’t seem to find any seats- I’ve clicked on every single day on the Etihad calendar. Am I doing something wrong…? Thank you! I just noticed that a Return search shows more seats than a one way search. I tried JFK – AUH in F but no seats came up. I then tried AUH – JFK – AUH and a seat on the JFK – AUH was available. So, if you cant find any seats one-way, try a return search. OK so one cannot fly US to Seychelles on AA Award? But from London one can? Or one needs 2 awards? Hi lucky, love your articles. Have you had any luck booking etihad with alitalia, malaysian or any of their other partners? Doesn’t seem like they see guest space like aa does. Trying to get from nyc to Australia on etihad. I find LHR to HYD via AUH available on Nov 2nd in Business class. When I call AA customer service they mentioned the LHR to AUH segment is only available in economy and the AUH to HYD is good to go in business class. I double check Etihad miles site for LHR – AUH availability and it says “sold out”. Do you know why LHR to HYD is available but not LHR to AUH?